we lasted 12 days on the Whole30. because we had peas a few days prior. fresh, in season peas is no diet for me. no matter how brief it was. least get sick of it. 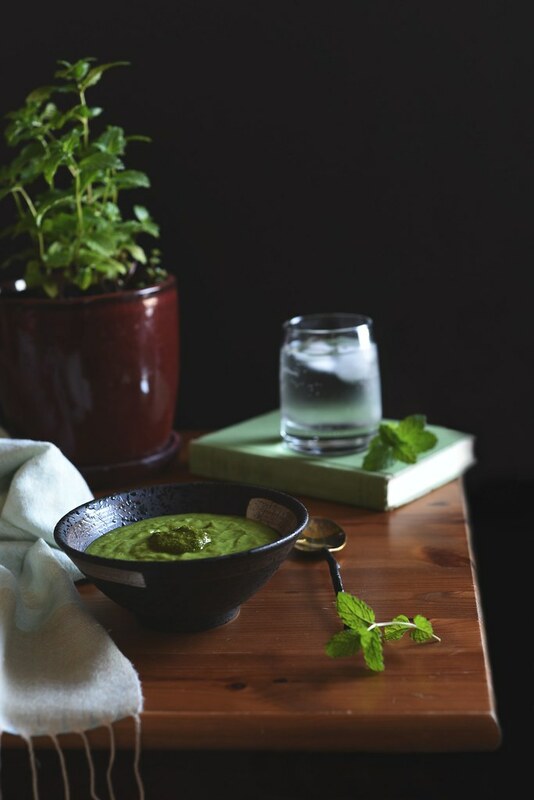 to make the minty sauce, put everything into a vitamix and blitz it till completely smooth. can be kept in clean container for up to a week. to make the soup, in a large saucepan head up the olive oil. add in the leeks and garlic scape and season with salt/pepper. saute til the leeks are soft. 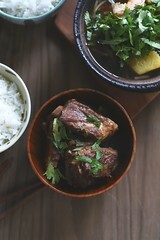 add in half a can of coconut milk and bring up a gentle simmer. turn off heat and add in the peas and kale, mix through til the kale is wilted and lid it. allow the soup to cool sufficiently before blitzing either with a handheld immersion blender or in the vitamix until smooth. add in the cuke and avocado, and blitz it some more. depending on how thick you want the soup, it may be fine as is, or you can add a ladleful of water/veg stock. season to taste. 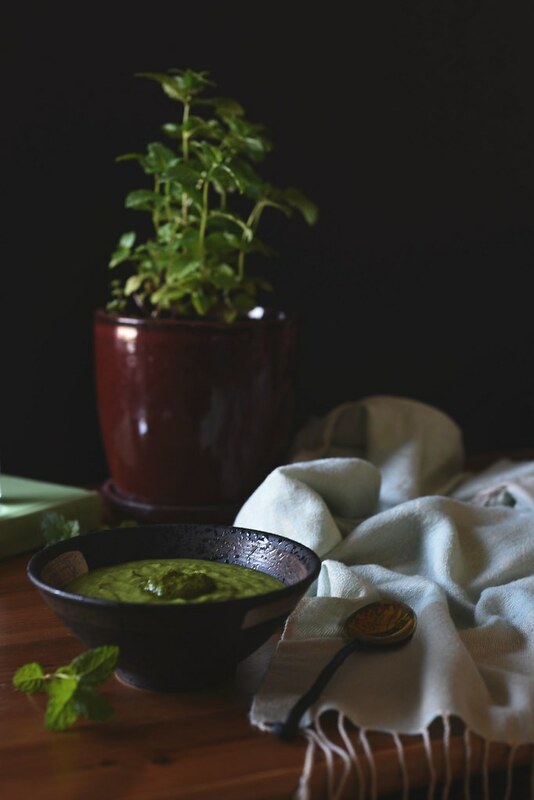 serve the soup chilled and topped with a spoonful of the spicy mint sauce. This is why I find Whole30 so suspect–any program that wouldn’t allow the above because of the inclusion of peas is ridiculous! Enjoy your peas and your rice and try to do your best to eat more protein and vegetables and I think you’ll be doing very well in the long run. This looks so good! So refreshing and healthy. I’m glad you gave it up for in season peas. 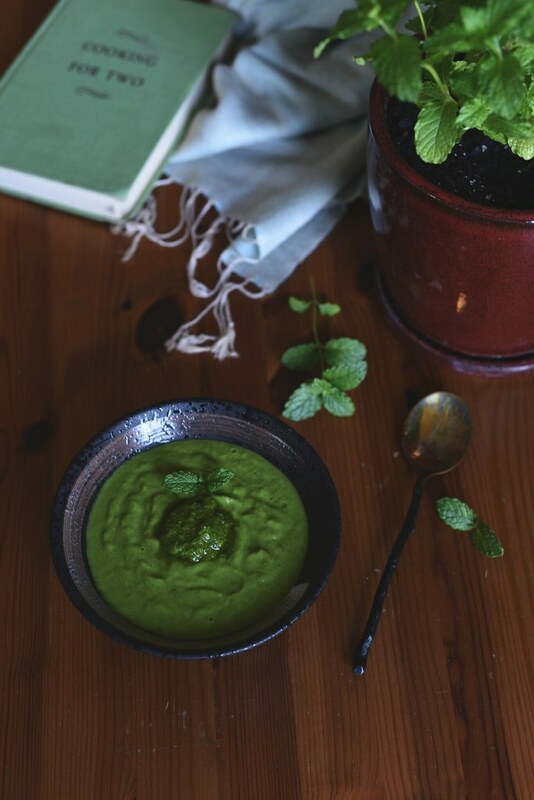 What a gorgeous looking spring/summer soup and I’m loving the addition of herbs! amanda, it really is quite refreshing and so dang easy to put together, which is my kind of summer dish. i added the avocado for some creaminess and healthy fats, it also gives the soup another green element.